Home / _NOVIDEO_ / Entertainment / Video / Watch how Jose, Wally and Paolo hilariously impersonates local celebrities! Watch how Jose, Wally and Paolo hilariously impersonates local celebrities! Ate Gay, Martin Nievera and Gary V. on Juan For All, All For Juan! Watch it! It's not just Jose who's really good on Impersonating local celebrities, Wally and Paolo also have that talent in copying others voices and actions. They love to imitate celebrities and make it more funnier by also copying the actions and mannerisms. We have seen Jose impersonates lots of celebrities, but Wally and Paolo also can do some impersonation. In this video, it was an old episode of Juan For All, All For Juan 'Sugod Bahay', where the JoWaPao were interviewing the winner. 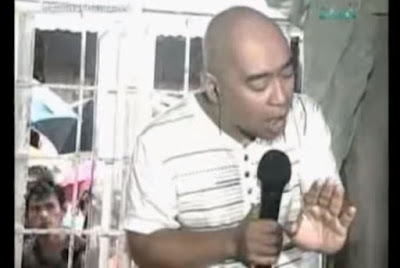 Their 'kalokohan' started when Jose asked the husband's winner what is their theme song. Jose then pointed at Paolo to sing it with Ate Gay's voice. Then followed by a duet with Wally impersonating Rey. After their hilarious duet with Ate Gay and Rey's voices, Vic suggested if it would fit for Martin Nievera. Then Jose impersonated Martin's facial expression from opening of his mouth to Martin's smiling face. But Vic was not yet satisfied, he asked for Gary V. to also sing the song. Wally moved to the corner and started to imitate Gary's voice and mannerism. It was not complete without Gary's signature energetic dance, so Wally who's standing on the chair for him to look tall started to dance like Gary V.
Then the three of them joined together and really brought so much laughter to everyone! These three proves how natural comedy can be hilarious. They don't need to use other people to make fun, they just show and use their talents!